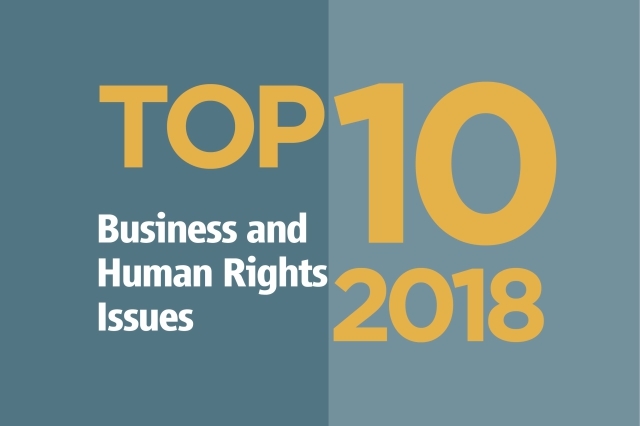 Marking International Human Rights Day on the 10th of December 2018 IHRB has published its tenth annual list of the Top 10 Business & Human Rights Issues for the coming year. 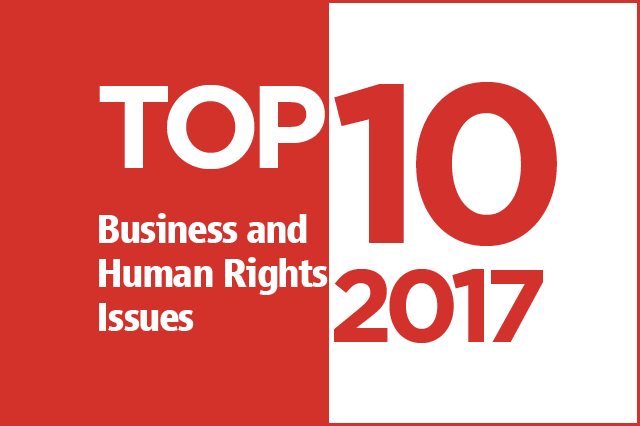 Marking International Human Rights Day on the 10th of December 2017 IHRB has published its ninth annual list of the Top 10 Business & Human Rights Issues for the coming year. Marking International Human Rights Day on the 10th of December 2016, IHRB has published the eighth annual list of the Top 10 Business & Human Rights Issues for the coming year. 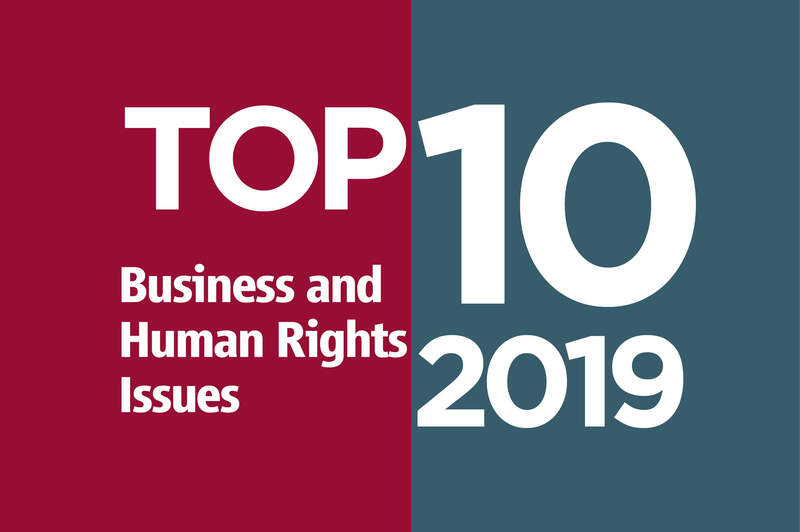 To mark International Human Rights Day 2015, IHRB has published the seventh annual list of the Top 10 Business & Human Rights Issues for the forthcoming year. To mark International Human Rights Day on 10 December 2014, the Institute for Human Rights and Business (IHRB) has published its Top 10 List of Business and Human Rights Issues for 2015. What emerging trends and key challenges will dominate global action and debate on the business and human rights agenda in 2014? What issues should be at the top of the 2013 Business and Human Right agenda? IHRB will release its fourth annual Top 10 list of emerging business and human rights issues for the year ahead on 10 December 2012 - International Human Rights Day. IHRB's Top Ten List of emerging Business and Human Rights Issues seeks to address diverse aspects of how the new UN Protect, Respect, Remedy Framework on business and human rights and Guiding Principles can be put into practice to achieve real step. To mark International Human Rights Day on 10 December 2010, the Institute for Human Rights and Business (IHRB) published its Top 10 List of Business and Human Rights Issues for 2011. What issues should be at the top of the 2010 Business and Human Right agenda? IHRB released its first annual Top 10 list of emerging business and human rights issues for the year ahead on 10 December 2009 - International Human Rights Day.